"Miami Beach is a nice horse with an interesting mix of a pedigree being by Invincible Spirit out of a Montjeu mare that stayed a mile-and-a-half. Invincible Spirit has produced a few useful hurdlers and this fella’s dam is a half-sister to Pittoni that won a Grade 1 over hurdles, so there is encouragement in his pedigree that he will make a hurdler." Christopher Robin looks to be going the right way over hurdles. His first run over them was disappointing and his jumping just wasn't good enough there. He often wore blinkers when running on the flat, so we tried him in them for his second start over hurdles last time and they seemed to help. He had a much better cut at his hurdles and ran much better to finish third to our Star Max. He was only beaten seven-and-a-half lengths that day and both the winner and the second are likely to run in the Boodles Juvenile Handicap Hurdle at the Cheltenham Festival and Christopher Robin, so the form probably isn't too bad. We think he will come forward from that again and he looks to be our best chance of a winner this weekend. Miami Beach is a nice horse with an interesting mix of a pedigree being by Invincible Spirit out of a Montjeu mare that stayed a mile-and-a-half. Invincible Spirit has produced a few useful hurdlers and this fella's dam is a half-sister to Pittoni that won a Grade 1 over hurdles, so there is encouragement in his pedigree that he will make a hurdler. While he spent time in Ballydoyle, Saturday will be the first run of his life and he's likely to need the experience. We'll learn plenty about him I'm sure and he'll improve on whatever he does. Deilginis was disappointing on her racecourse debut in a maiden hurdle at Punchestown a couple of weeks ago. 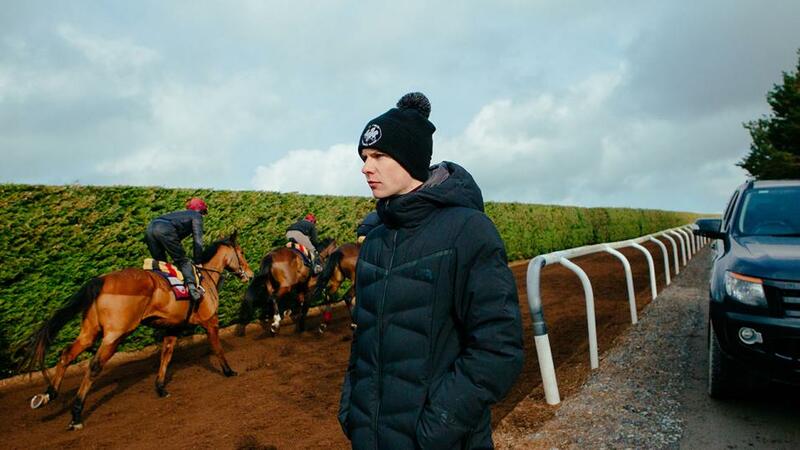 We are dropping her back to two miles and we are hoping that this will be a help to her, but she'll have to come forward an awful lot from that Punchestown run to be competitive. She is a mare that shows ability at home, so hopefully she will shape with more encouragement on Saturday.